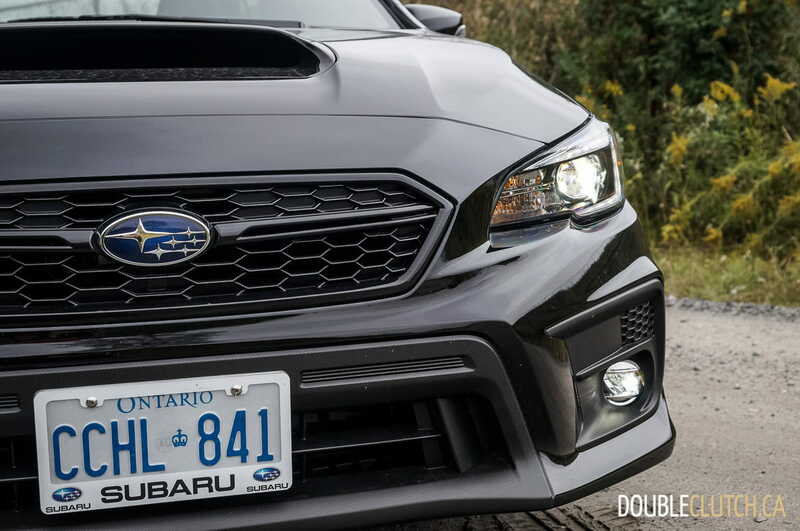 Subaru is one of those brands that likes to stick to what they are good at, rather than trying to have a product line that has something for everyone. 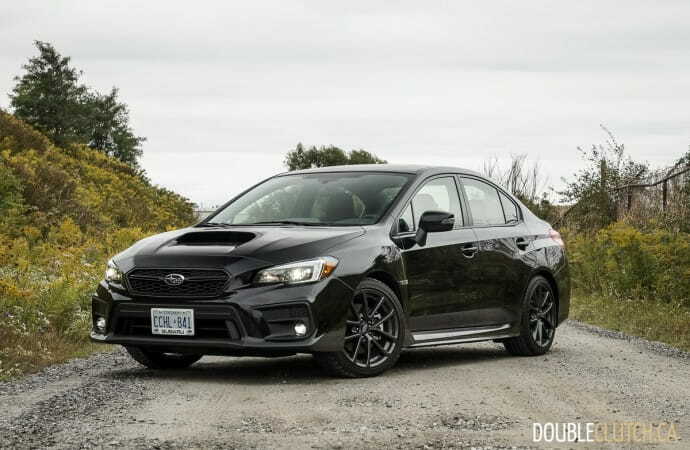 The 2019 Subaru WRX Sport-tech CVT with EyeSight certainly does not fall into the “for everyone” category. This is a brash and unapologetic four-door sedan with all-wheel-drive in a world full of quiet and comfortable crossovers. 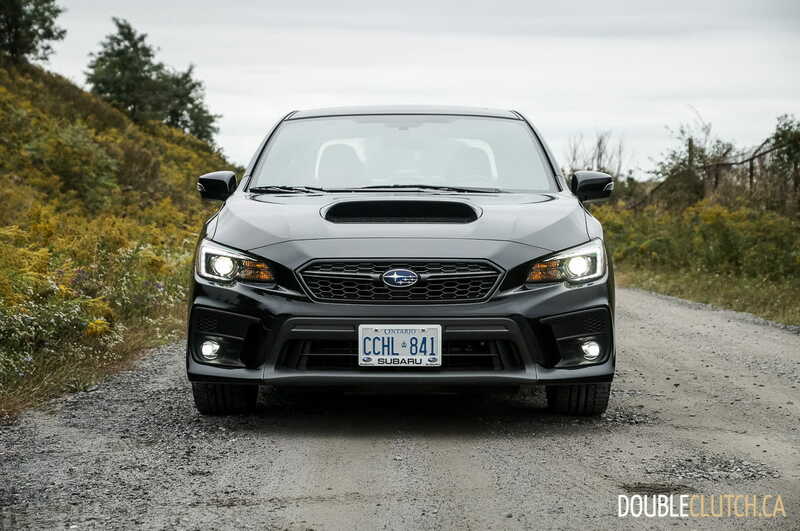 The WRX is the sporty offspring of the Impreza (reviewed here), so expect to find the best driving tech Subaru has to offer, jam-packed into this sport compact sedan. 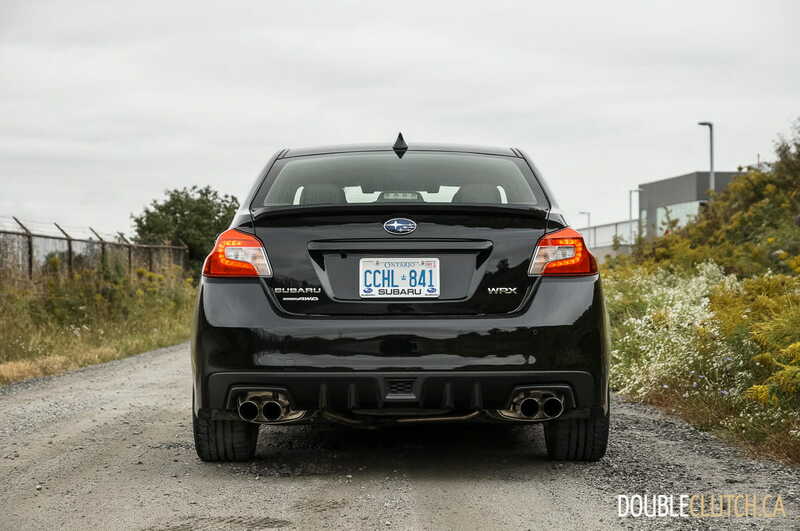 The sport-tuned chassis is stiff, tuned for corner carving and minimal body roll, and offering a very low ride height. 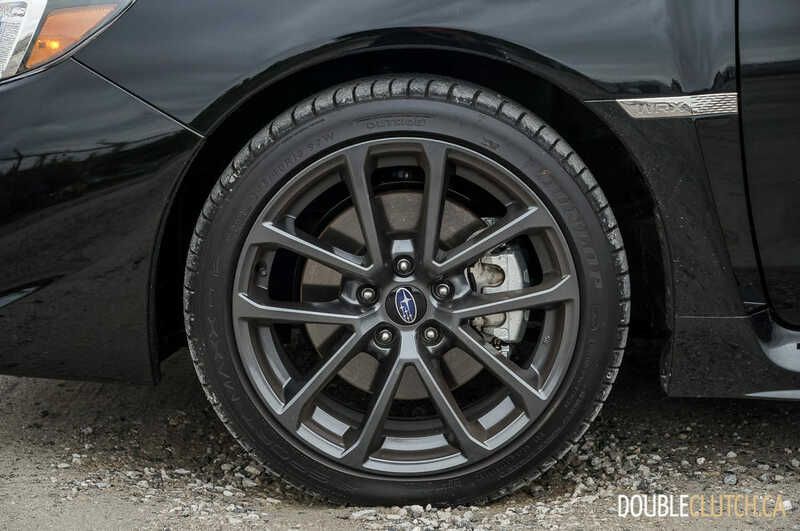 Subaru’s Symmetrical full-time all-wheel-drive is present as standard equipment, pushing all four wheels through those corners while Active Torque Vectoring applies braking force to the inner wheels for maximum control. Starting at $29,995 for the base model, the WRX can be had in several optioned-up configurations before reaching the WRX STI (reviewed here), a completely different animal. 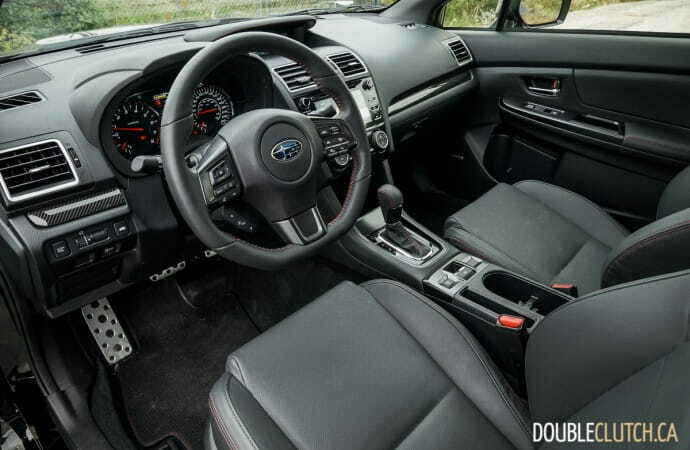 The Sport-tech with EyeSight model tested here is only available with the Lineartronic CVT transmission and features Reverse Automatic Braking, Auto Vehicle Hold, and an electronic parking brake. While the manual is obviously the enthusiast’s choice, the automatic is a spectacular choice for the daily grind, and we’re well into the age where a good automatic is always acceptable in most applications. 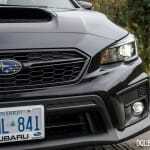 The Sport-tech trim will add a plethora of upgrades over the base WRX. Safety and tech additions include Rear/Side Vehicle Detection, Subaru’s EyeSight driver assist suite, Reverse Automatic Braking, and automatic high beams. Other notable additions include leather trimmed seats, sunroof, lip spoiler, automatic LED headlights and fog lights, body coloured mirrors, a nine-speaker Harman-Kardon stereo, keyless entry with push button start and 18” wheels. The interior of the WRX has been very nicely updated from previous generation models, where this was the largest weakness. 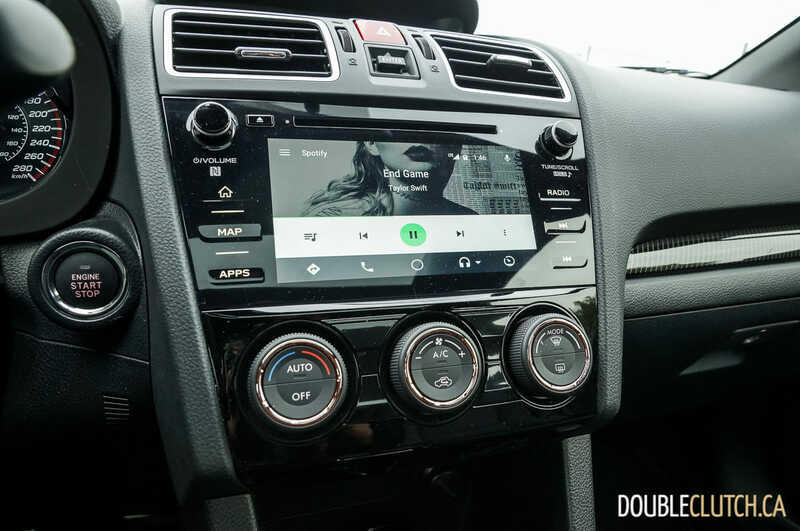 The Sport-tech trim level brings in the larger 7” infotainment screen with navigation as well as leather seating with red stitching, which is a very nice touch. 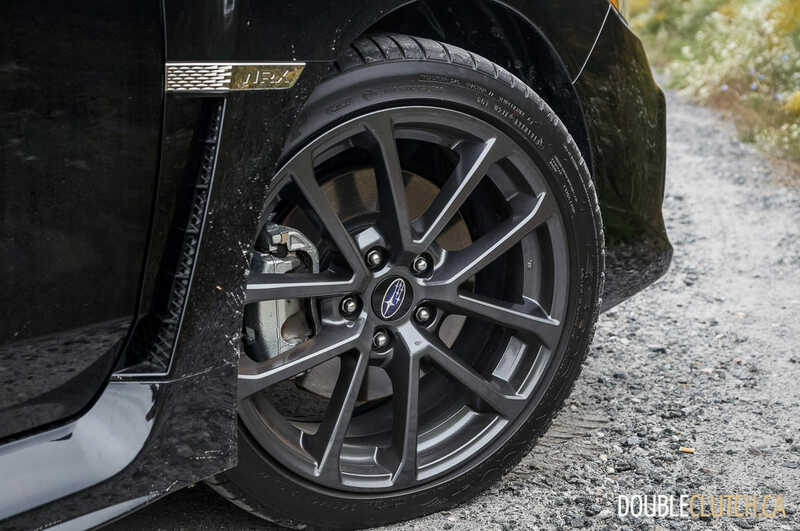 Carbon-fibre themed trim pieces are found throughout the cabin and carry on with the raw performance car theme. 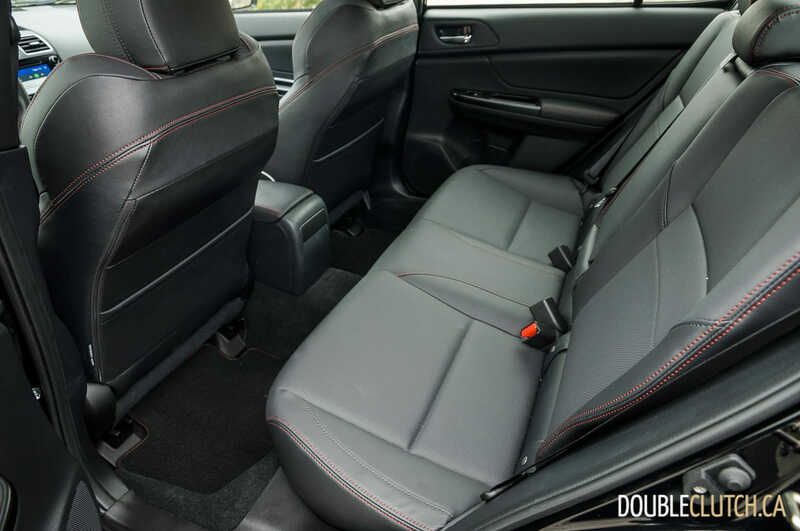 Despite being a compact sedan, there is comfortable seating for four adults, or five in a pinch. 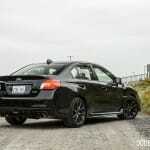 Finding your way around the settings screens to configure the WRX to your liking will take a bit of time. 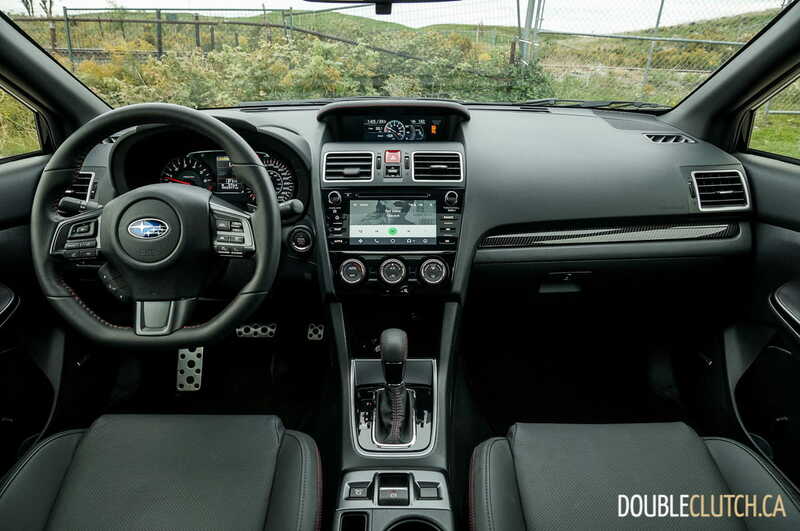 Some settings are controlled through the small screen in the middle of the instrument cluster, while others are set up using the high-mount screen on the dashboard. 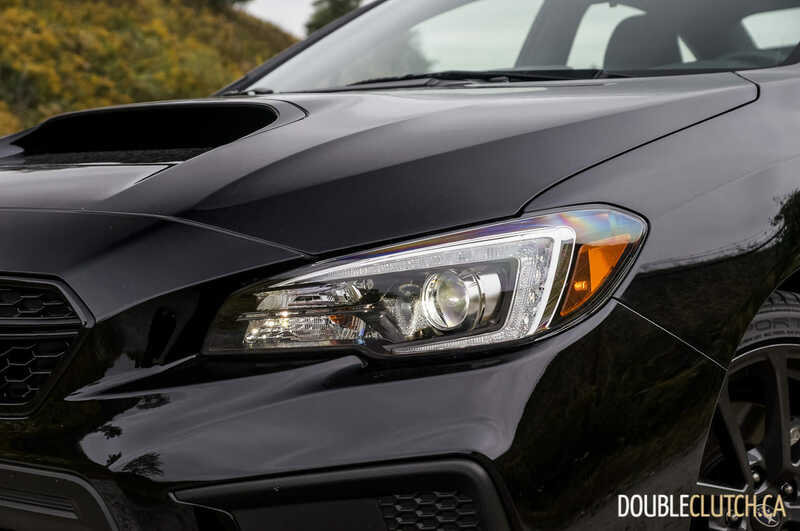 The latter can display fuel economy and other useful information, but is really there to be a boost gauge, truly illustrating the fun you are having. Lastly, navigation and multimedia settings are controlled through the main infotainment screen. WRX models of the past came in a hatchback form, but Subaru chose to build this generation as a sedan-only model. 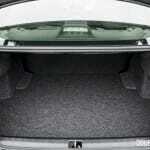 Being a sedan, cargo space is less than that of a hot hatch, with a trunk capacity of only 340L. Road noise is ever present, and the automatic transmission keeps the exhaust drone in just the wrong spot while cruising around. All of this is just about par for the course for the unapologetic outsider, right? Under the hood is a 2.0L direct-injected turbocharged boxer engine that outputs 268 horsepower at 5,600RPM, and 258 lb-ft. of torque from 2,000 all the way to 5,200 RPM. 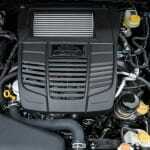 Boxer engines are substantially different than the common inline or V-engines most other vehicles have. Instead of pistons moving up and down towards a cylinder head to create compression, the pistons in a boxer engine lay flat. Imagine taking a V-engine and prying the V wide until it just is a straight line. 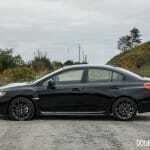 This configuration allows for a very low center of gravity and low hood line. The Lineartronic CVT transmission is where the WRX begins to disappoint from an enthusiast’s standpoint. 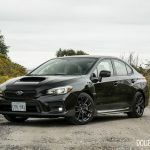 Automatic and CVT transmissions have come so far these days that there are some cars that are better off without the clutch pedal. 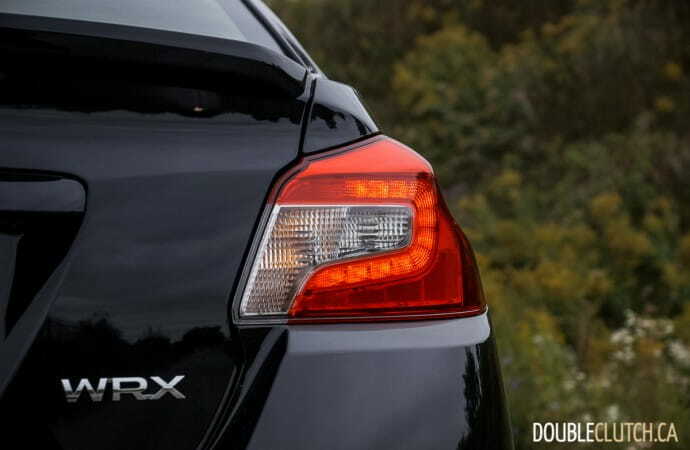 The Subaru WRX is not one of those cars. There are three driving modes to choose from: Intelligent (I), Sport (S), and Sport # (S# – Sport Sharp); all of which control engine mapping and transmission configuration. 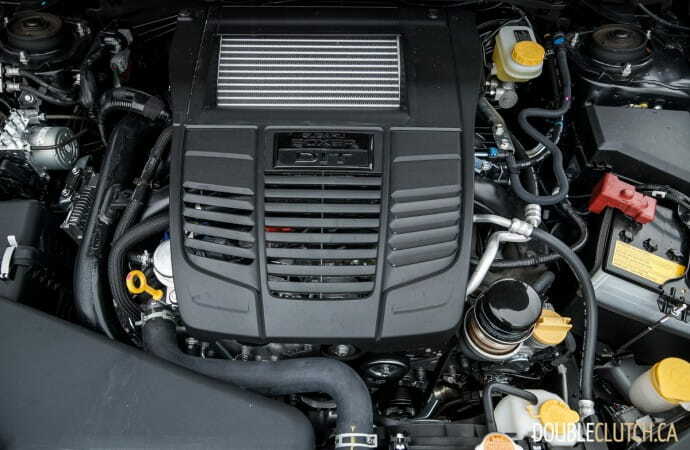 “I” mode takes a more casual boost profile and makes the car feel rather normal after waiting for the turbo to spool up, to intelligently save fuel. 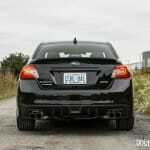 “S” mode takes a more aggressive approach, waking up the turbo quickly, and then bringing on the torque hard. 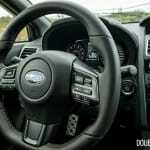 “S#” mode is similar to “S” but simulates an eight-speed transmission vs the six-speed of the other modes, and is the preferred of the three. 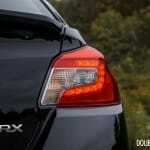 This mode holds gears for a more spirited drive, and naturally has a negative impact on fuel economy. Under optimal conditions, fuel economy ratings come in at 12.6L/100km (city), 9.6L/100km highway, and a combined rating of 11.2L/100km with 91-octane fuel. 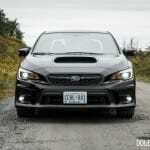 Manual transmission numbers come in significantly better at 11.3/8.5/10.0 respectively. This is one more reason to row your own gears, or spend the anticipated fuel savings on driving lessons if you don’t know how to drive stick yet. 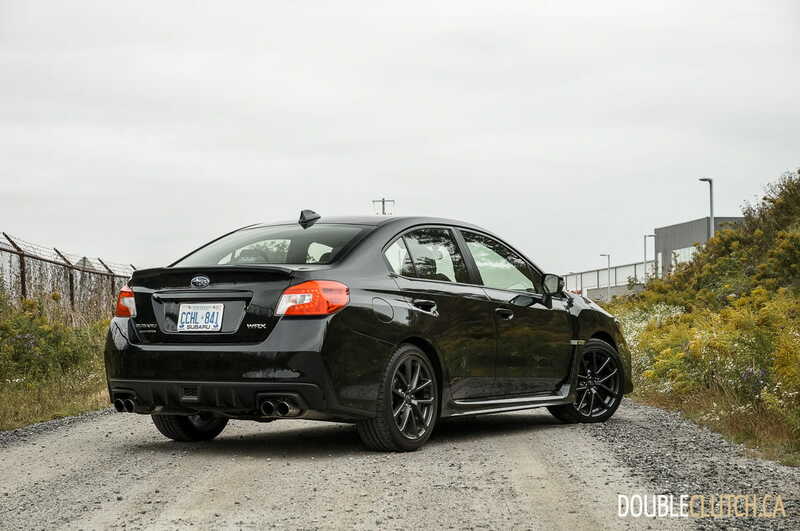 The low ride height and stiff suspension make the WRX a complicated ride as a daily driver, but certainly an entertaining and engaging one. Out on the open road, engagement is among the best and even highway driving is tons of fun if you stay on boost. The wall of torque that hits you in “S” mode keeps on going, like being strapped to the front of a freight train going full steam ahead. 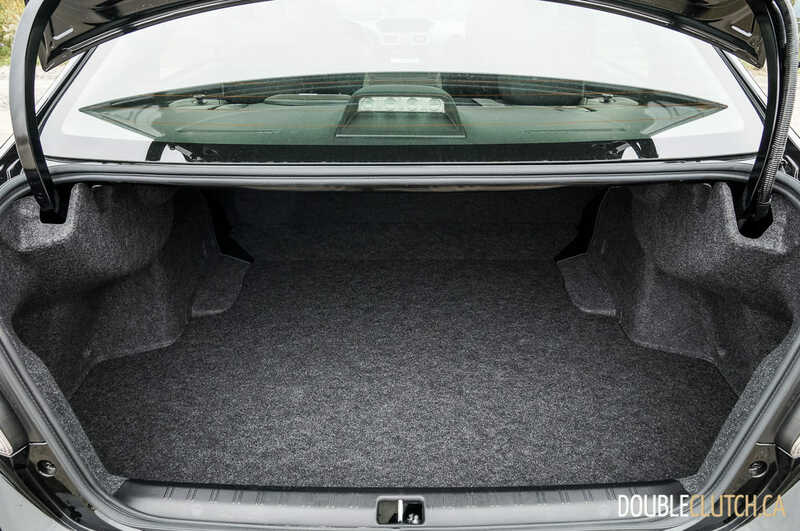 If the firm ride doesn’t appeal to you, the Golf GTI (reviewed here) comes with a more comfortable ride, at the expense of all wheel drive. Other FWD contenders are the Ford Focus ST (reviewed here) and the Hyundai Veloster N but those two exclusively come with manuals. 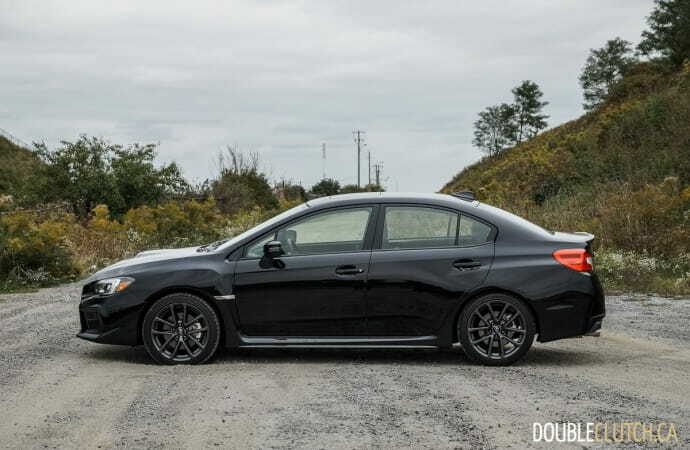 If your style of fun is loud and feisty, then the 2019 Subaru WRX Sport-tech just might be for you. 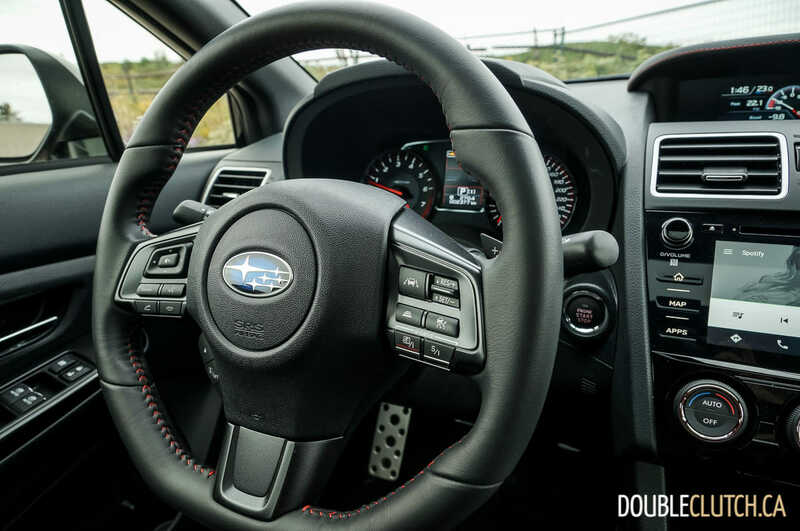 Selecting the right drive mode for the driving conditions, and knowing that steering inputs will get fast and furious at times, can make the WRX fun to drive in the most mundane conditions. Just don’t expect your mom to love her ride home from the airport in it.